John Calvin is indisputably one of the most influential figures of the Christian Reformation. Few have had as much lasting impact on Christian study, theology, and thought as Calvin. 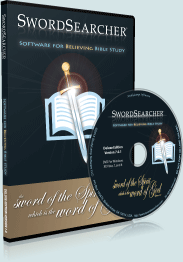 The SwordSearcher Calvin commentary module contains the verse-specific commentary from Calvin's 22 volume exposition on the Bible, from the Calvin Translation Society edition. Calvin's commentary is quite complete, with detailed exposition on almost every verse in each book covered in Commentaries. Calvin's Commentaries is one of the largest Bible expositions produced by a single individual, second in size only to John Gill's commentary in the SwordSearcher library. John Wesley, by no means considered a "Calvinist," said of Calvin that he was a "great instrument of God" and a "wise and pious man." 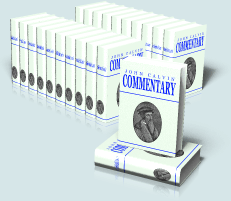 "Of all commentators I believe John Calvin to be the most candid," said C. H. Spurgeon (Commenting and Commentaries lecture). Jacob Arminius, who is historically regarded as an "anti-Calvinist," still had this to say: "I exhort the students to read the Commentaries of Calvin... his Commentaries ought to be held in greater estimation than all that is delivered to us in the writings of the ancient Christian Fathers." Arminius wisely added, "but to tall this I subjoin the remark, that they must be perused with cautious choice, like all other human compositions." Few writings are as valuable when seeking understanding of the theology held to by the early Reformers. SwordSearcher's Great Preaching of the Faith module also includes several sermons by John Calvin.